On 11 March 2011, a powerful earthquake hit eastern Japan, triggering tsunami waves which caused massive amounts of destruction and death in the region. Five years later, the restoration process is still painstakingly ongoing. New construction sites constantly spring up around towns in the region, promising buildings and bridges which are more sturdy and safe. The people of Tohoku pick up pieces of their lives from the debris left behind, determined to embark on fresh starts. But there is still caution in the air, as Japan continues to be hit daily by earthquakes due to its geographical location. The people here worry that another violent earthquake will come, and that their progress will then be for naught. However, rays of hope continue to shine amidst the darkness that fear brings. 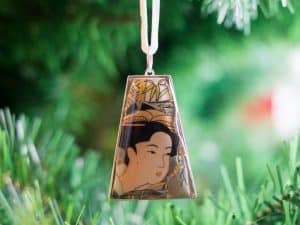 Several months after the disaster hit, American missionary Sue Plumb Takamoto was clearing debris from a park hit by the tsunami waves, when she came across pieces of brightly coloured pottery and was struck by an idea. She asked herself, “what if we could make something beautiful from this devastation?” Sue couldn’t shake the thought from her mind. Eventually, the idea of creating beauty from brokenness took root, and blossomed into the Nozomi Project. 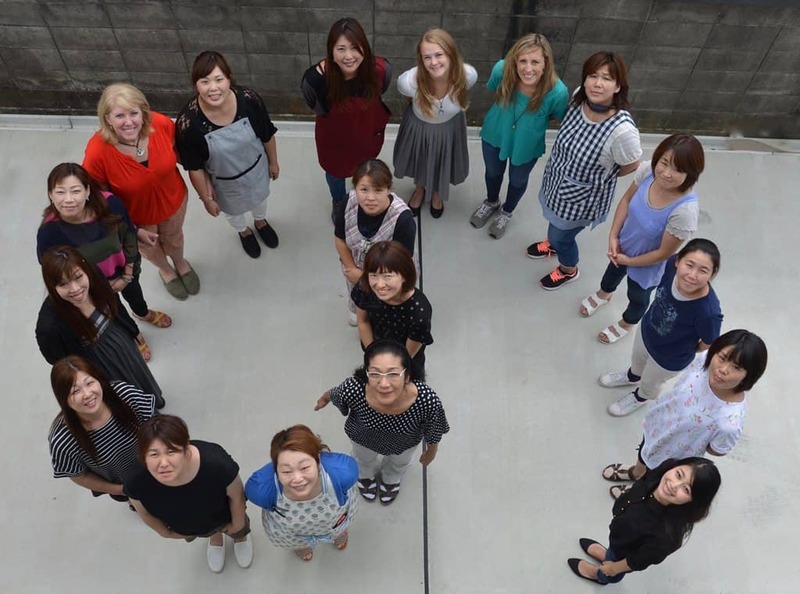 The Nozomi Project is a social enterprise which desires to bring hope, community, dignity, and sustainable income to the women of Ishinomaki. 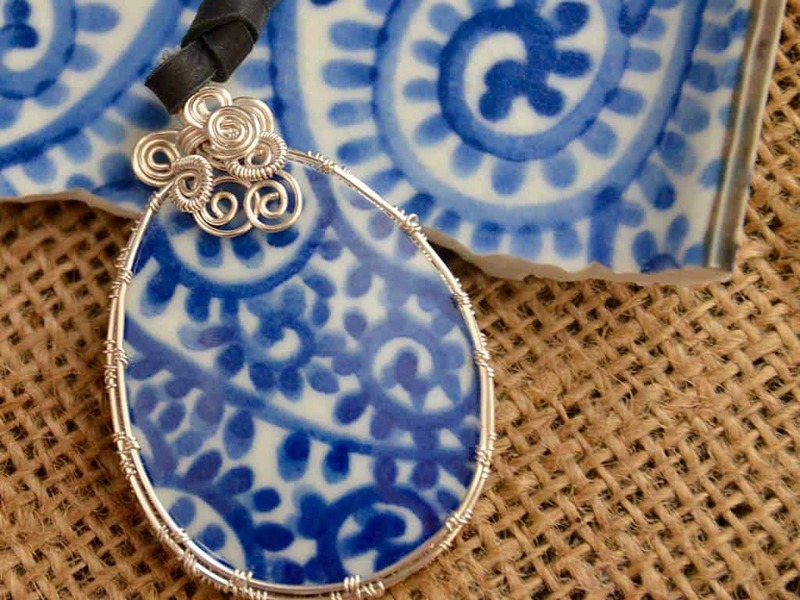 Here, women transform broken shards of pottery into beautiful pieces of jewelry. The word nozomi means hope in Japanese. Many stepped forward to offer support and expertise in bringing Sue’s idea to life, from hundreds of volunteers who picked up pieces of broken pottery, to professional jewelry artists who came to introduce and guide the local women in the art of jewelry making. 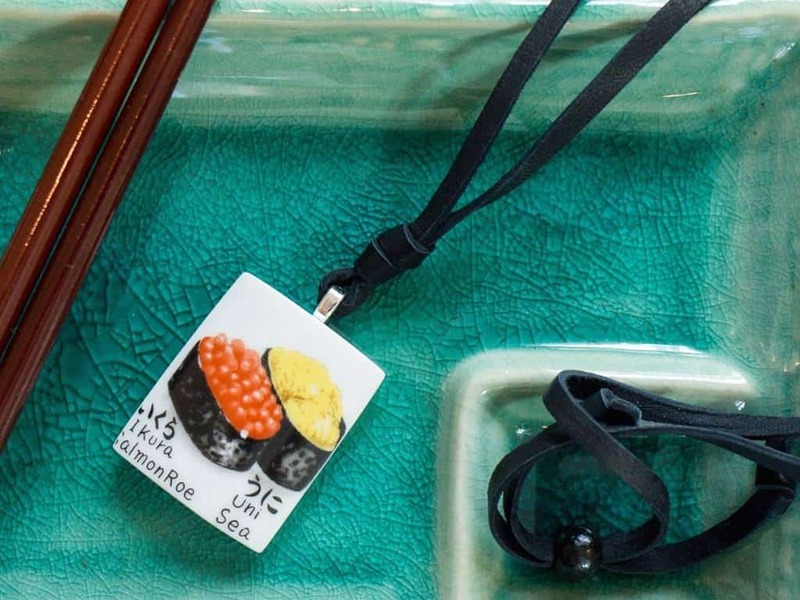 On October 2, 2012, the Nozomi Project was officially started, with Nozomi accessories available online for sale, and the local women – now Nozomi jewelry artisans – receiving an hourly salary to work. Perhaps at this point you might be wondering– jewelry making and calligraphy? Is there a connection between the two? There might be more similarities than you think! Japanese calligraphy has its roots in the Chinese writing system, kanji. In the beginning, it was strongly influenced by the Chinese style of writing, before it evolved to gain its own unique Japanese calligraphy style. 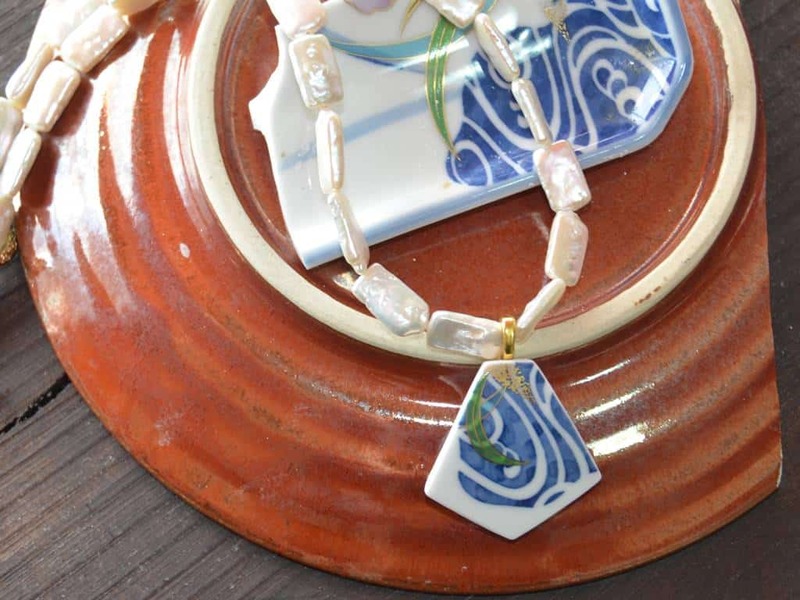 Just like calligraphy, jewelry from the Nozomi Project has its origins from foreign sources – pieces of patterned pottery such as plates and cups. Over the years, artisans at the Nozomi Project have been able to transform these shards into many different forms, such as earrings and bracelets, creating products unique to the Nozomi Project. While these handmade Nozomi products possess their own type of style and shape, their rustic appearance allows them to retain a certain charm from their past lives as pottery pieces, much like how Japanese calligraphy has evolved throughout the years, yet continues to bear some form of similarity to Chinese calligraphy. In the Nozomi workshop, 14 local women take charge of the incredible journey a broken shard takes to become a beautiful piece of jewelry. Today, shards can still be found occasionally scattered across alleys and abandoned lots. Pieces like these – gathered over the last four years – as well as crates of broken pottery from local second-hand stores, are taken to the Nozomi Project’s workshop, located within a two-storey building, which also houses a small showroom. When a raw shard arrives in Nozomi, an artisan clips its rough edges away, reshaping it into a size which the other artisans can work with. The work is tough, as it takes a great deal of strength to cut the shards down to usable shapes. Despite the challenges, the artisans persevere with patience, putting their best efforts into each snap of the clippers. After this, the shard passes into the hands of artisans who are in charge of grinding. Grinding the shards down to their final shape is a delicate process, as it requires fine precision skills. By now, the shards have developed an identity away from the pieces of pottery they came from, as they take on distinct patterns of their own. While some of these pieces may appear similar in appearance, each definitely has its own special quirks, making them perfect one-of a-kind statement pieces. In addition, each Nozomi product bears special meaning, just like the kanji used in Japanese calligraphy. A single kanji character can be heavily laden in meaning; there are often rich stories hidden behind these words. 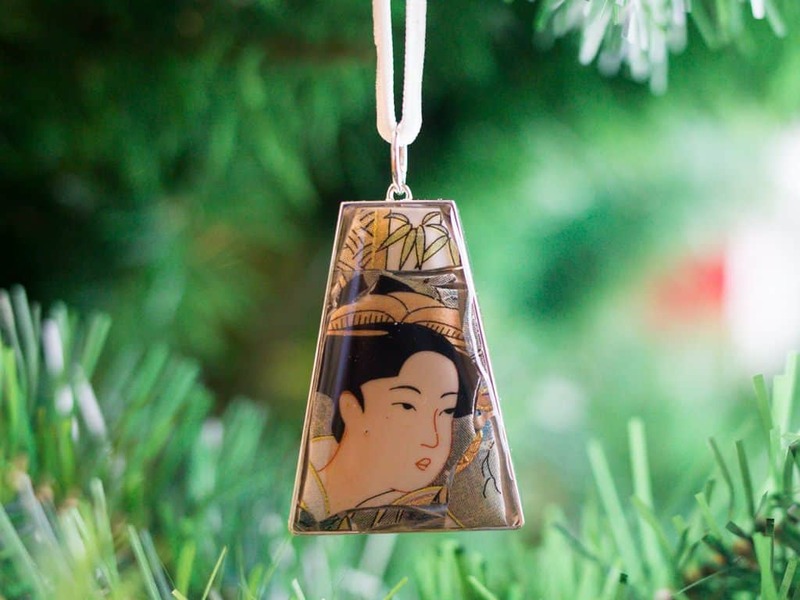 At the Nozomi Project, each product line is named by a Nozomi artisan, in honour of a loved one in her life. As time passes, support for Ishinomaki dwindles, as the impact of the disaster seems to subside over time, and people begin to forget. Yet to the locals here, the restoration of the town, and even of their own lives, is still an arduous, ongoing process. The Nozomi Project chooses to remember and lift up the locals here by continuing to share their stories with the world. The names fronting these lines belong to a myriad of individuals, including heroes who did not survive the 2011 tsunami, and locals from Ishinomaki, both adults and children who have been courageously standing strong till today. Each Nozomi piece contains a unique story; a reminder of the tragedy, but more importantly, proof that beauty can come from brokenness, and hope that Ishinomaki will bravely stand on its own feet again one day. Last year, calligraphy artist Rona Conti wrote an article sharing her experience in exhibiting a unique series of artworks – pieces of calligraphy which featured corrections made by her teacher. The corrections, which were made in red ink, highlighted the mistakes she had made in her calligraphy. Rona shared how other individuals could not look past the “failure” symbolized by the red ink. But according to her, “in looking at artwork, often one has to let go of preconceived notions of what is correct. What I had done in finding the beauty within may seem counter to commonly held assumptions about mistakes. I was trying to reinvent or change mistakes into another form”. Rona saw how her mistakes could be transformed into creative pieces of art, and chose to look past preconceived notions of failure. She succeeded, with eight of her pieces chosen for an exhibition in Massachusetts. 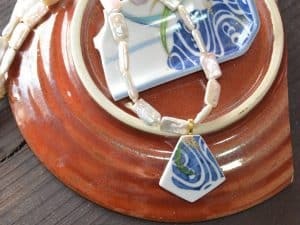 Like Rona, Sue looked past the “failure” of the broken pottery pieces, and led the Nozomi Project to embrace the brokenness that Ishinomaki faced, by picking up its pieces to create something beautiful. Five years on, it has brought hope to many of the local ladies and their families. Each artisan finds great joy in her work, buoyed by their newfound abilities to create jewelry pieces from scratch, which people around the world love. Nozomi products have travelled to 38 countries, and counting! With its steadfast commitment to support and build up the lives of the locals in Ishinomaki, the Nozomi Project continues to be a beacon of shining light, proving that brokenness does not have to be the end; it could just be a new beginning, one that is filled with more joy and hope. Find beautiful Nozomi Project products and read more about its work here and here is a video about the project. ← Chiune Sugihara, The Heart Sutra, and L’Dor V’Dor, from Generation to Generation.